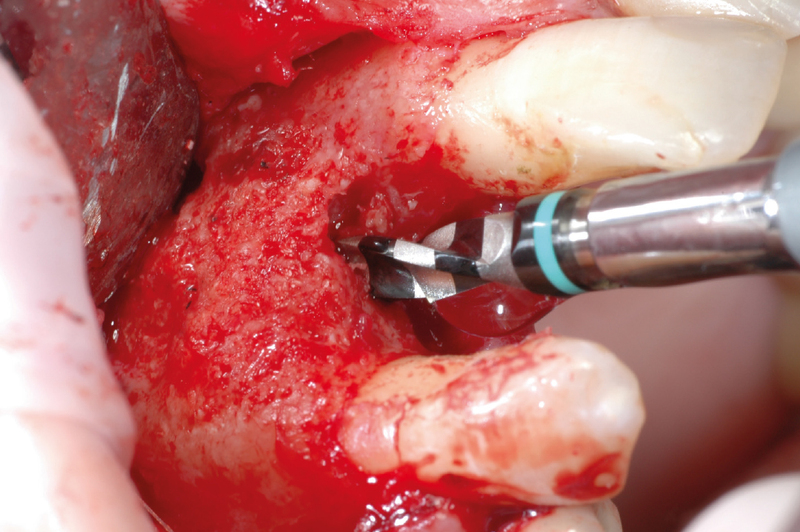 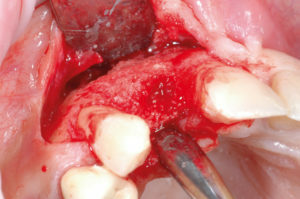 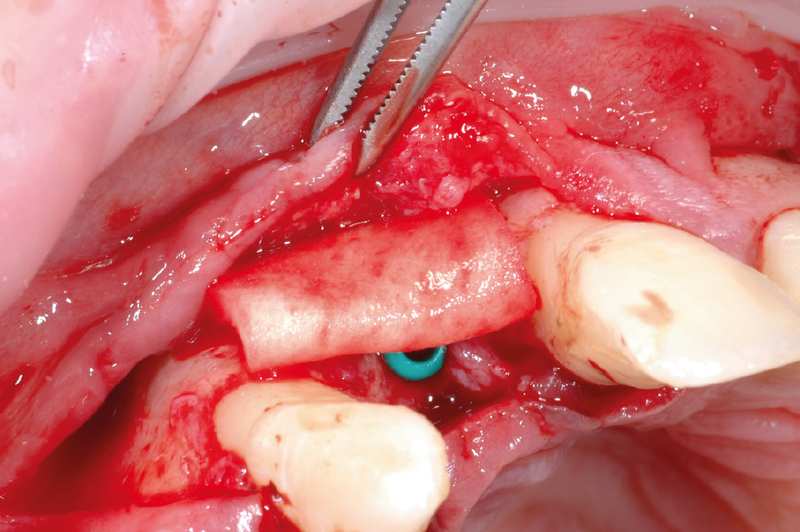 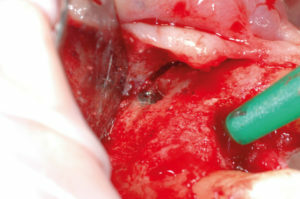 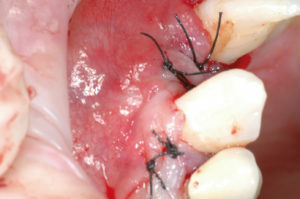 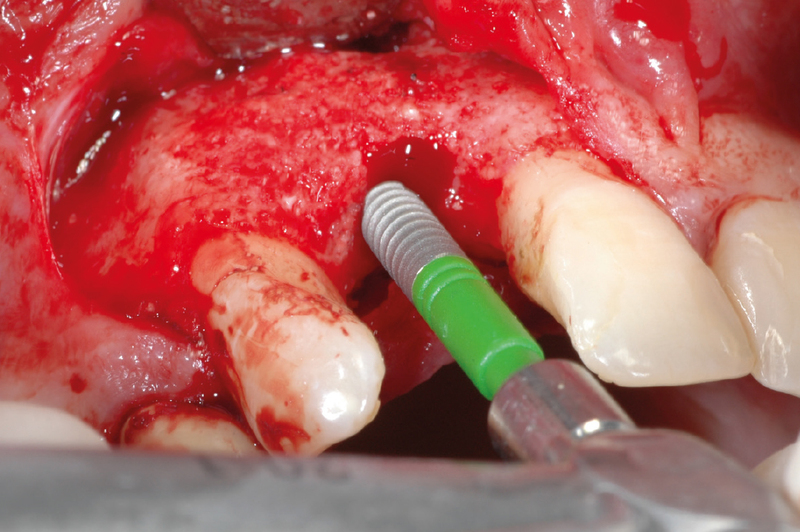 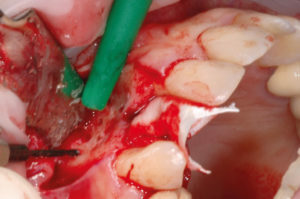 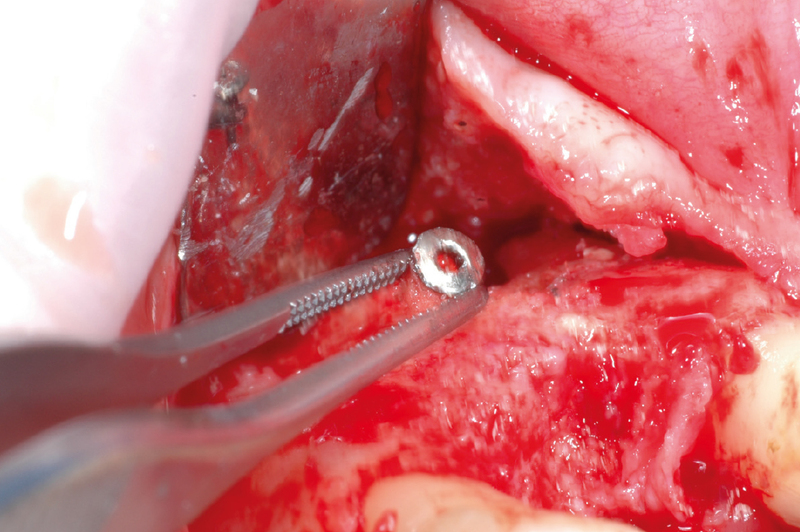 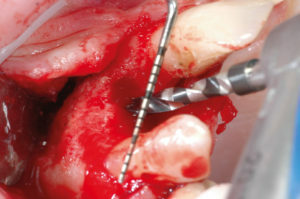 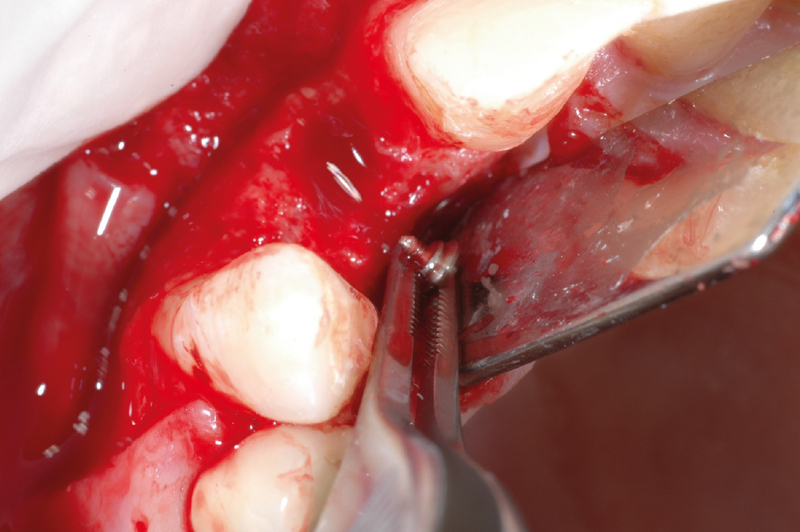 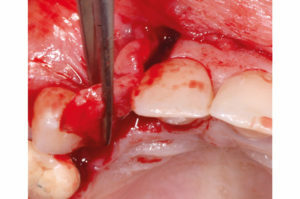 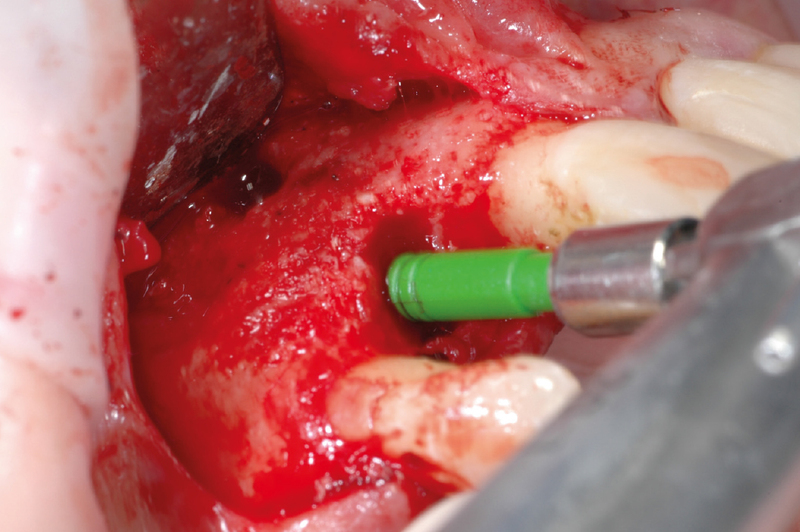 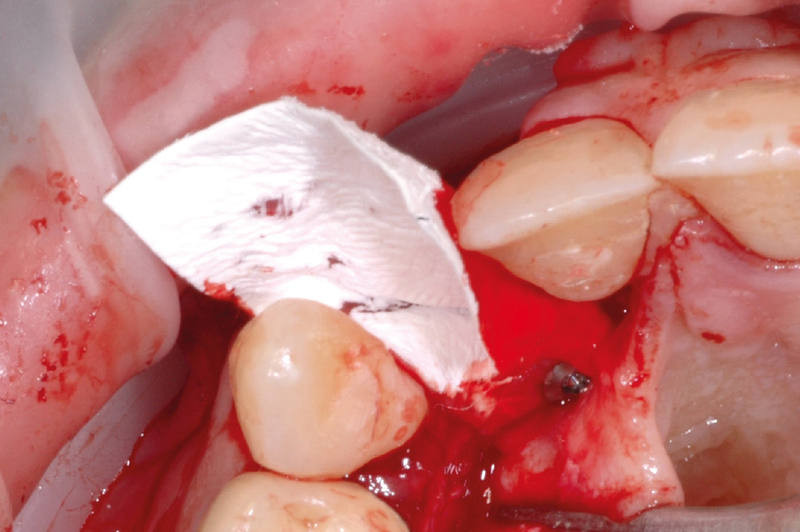 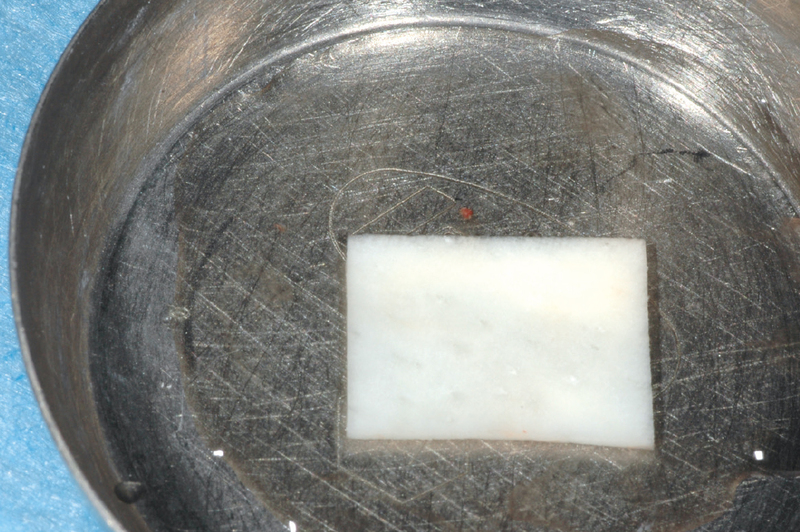 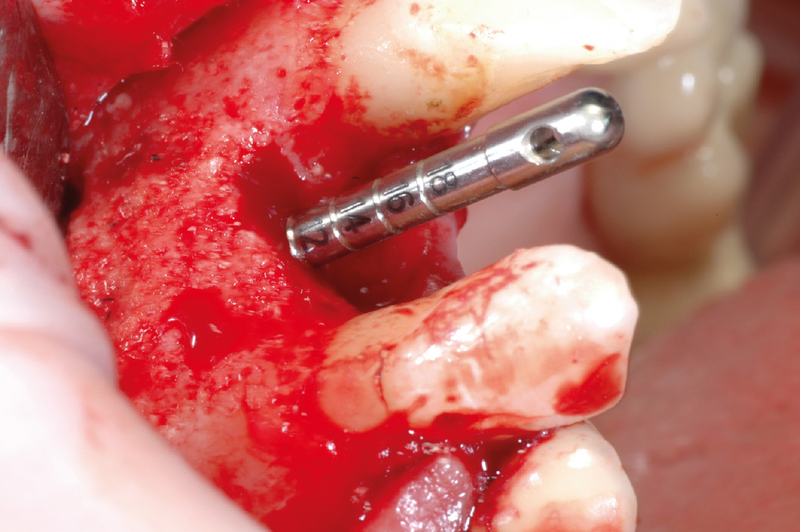 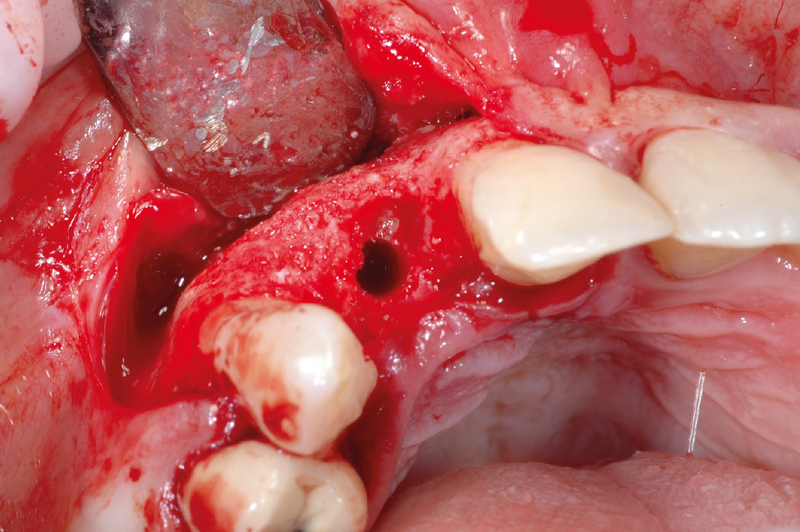 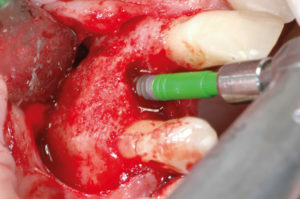 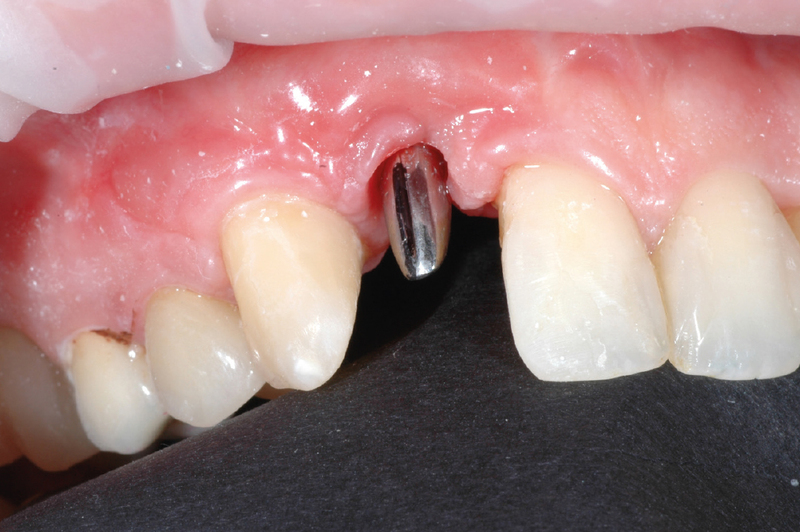 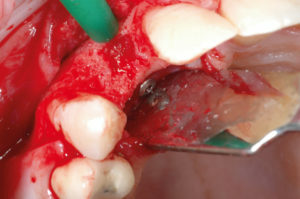 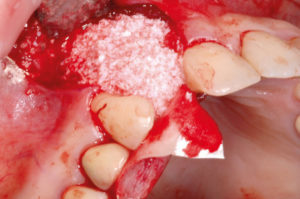 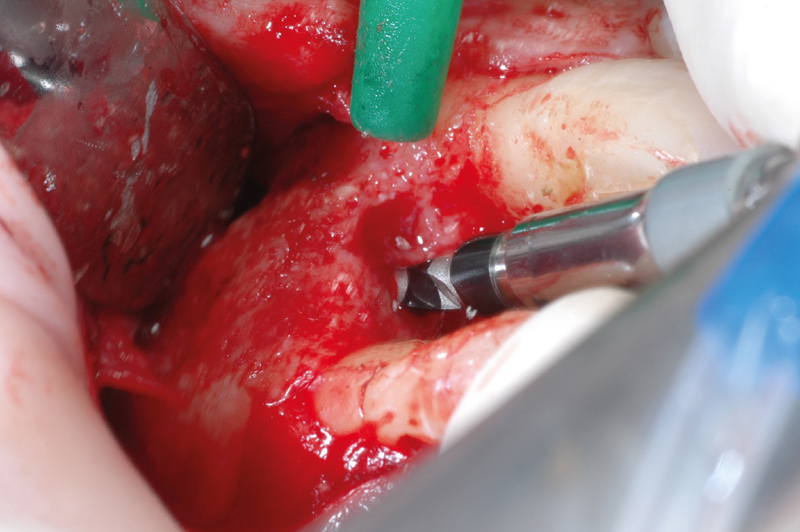 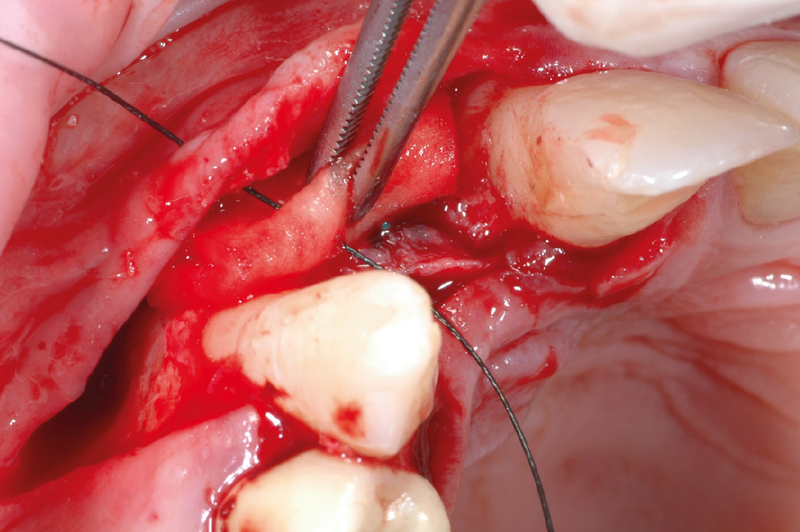 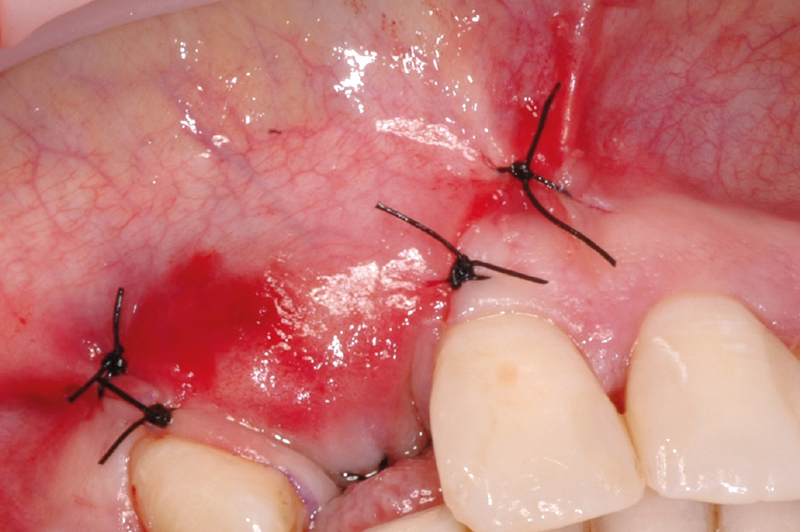 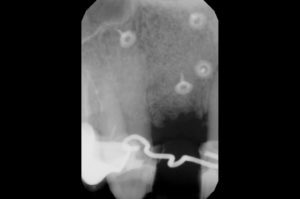 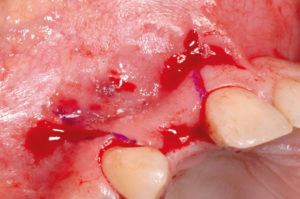 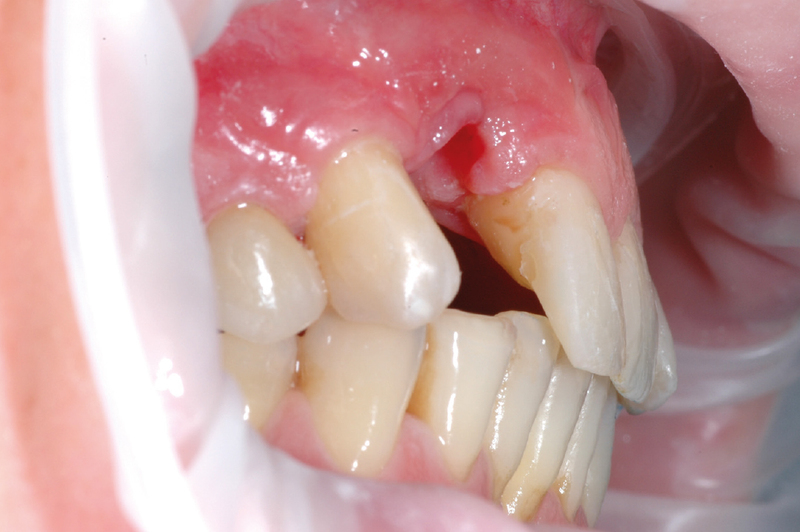 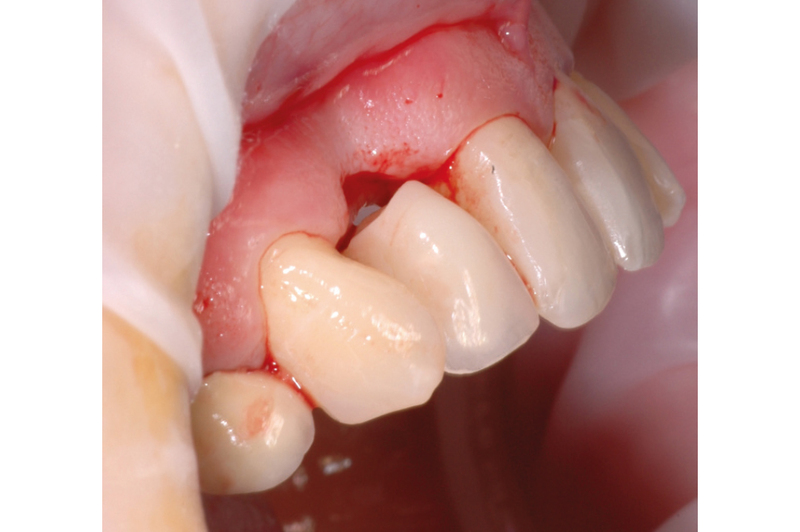 This case illustrates bone grafting with a combination of autologous bone graft and synthetic bone material covered by a membrane stabilized with tacks in order to regenerate the concave osseous architecture of the buccal bone plate. 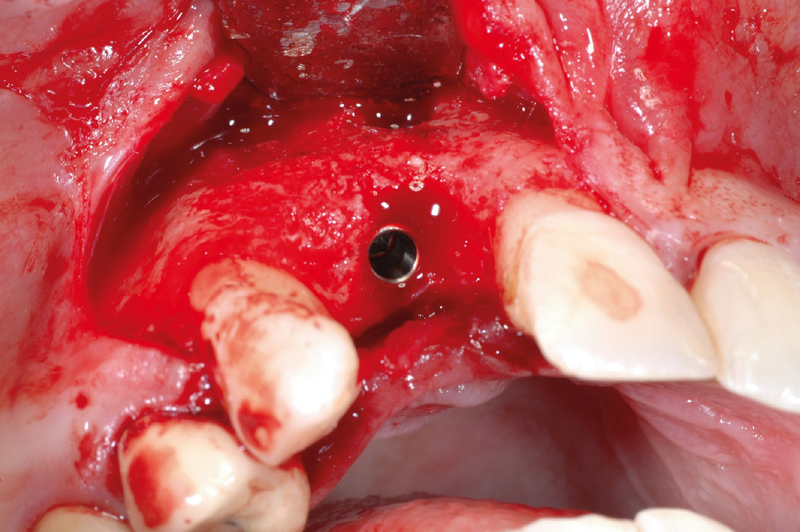 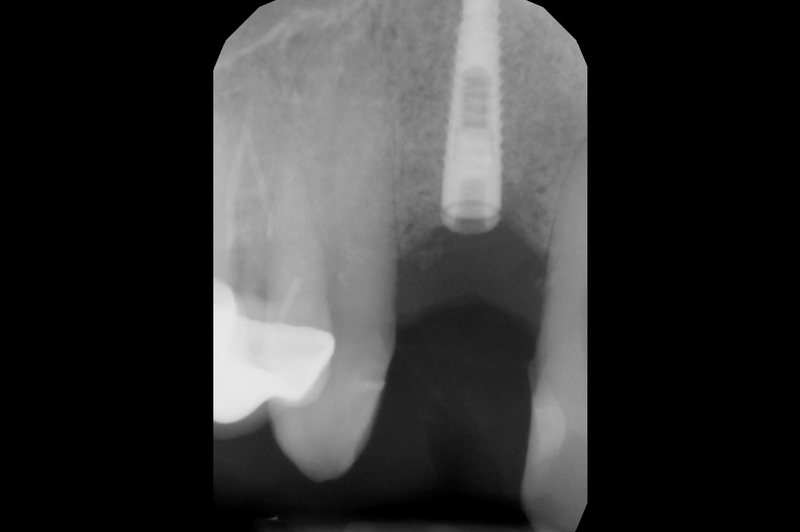 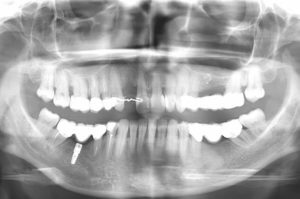 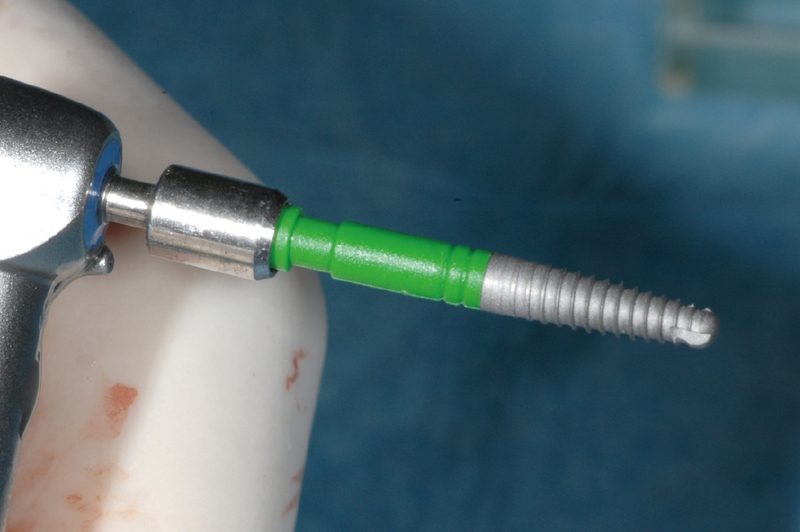 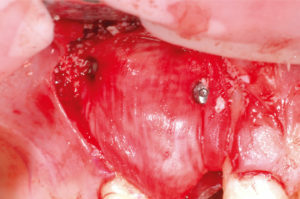 After six months of healing the fixation tacks were removed and a two-stage placement of a 2.9 x 12 mm Leone implant with simultaneous soft tissue thickening was performed. 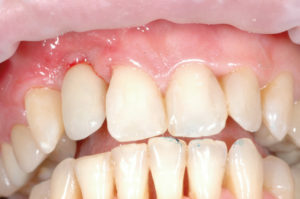 Three months later, the implant was uncovered, soft tissue was conditioned with a healing cap and an implant level impression was taken for the fabrication of a porcelain crown.